Cold Weather Means Good Fishing…. Oct.31, 2012…..Trick or treat…..this one was a trick . The early blizzard that is. We have anywhere from 2-6" of snow in the valleys to 16-18" of snow on the mountaintops….especially west facing slopes and elevations over 4000ft. In Watauga and Ashe counties its still coming down…. Some locations along the NC /TN border above 4000′ feet got over 18"….Beckley, WV in some spots got between 2 and 3 feet.. wow. We get a lot of questions….what is the fishing like? How will it be? Legitimate questions. First, the fish will adjust. Quickly. Don’t overlook one simple fact. Trout are a coldwater species. Brook trout, which are really char and not a trout at all, are even more so. Second, we live in the South. It’s temperate here compared to most mountain climates. Our worst weather is normal stuff to most locales where trout are found. In Jackson Hole, they sneer ay snows like this. And they keep going. And we are no different! I have often said that we catch most of our large fish from November through March. That holds true year in and year out. The picture below is of Dr Hy Muss, Chapel Hill, NC , who will be with me for the Wyoming 2013 trip. He and 4 of his friends will be on a trip I guide this summer in the Turpin Meadows/Soda Fork wilderness. The photo below is from a winter trip on the Toe River drainage, one great winter haunt of mine….and one I know every inch of like the back of my hand. 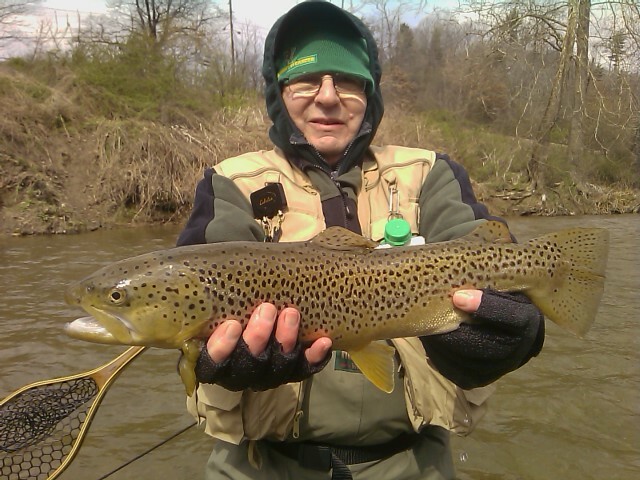 Hy and his two friends landed over 50 fish including this brown that was just south of 26"…..it was 35F, wind was 25 plus, and it was cloudy. So do fish bite in cold weather…? You tell me. Will be preparing today for some upcoming trips and tying flies, mending gear, and also doing some website work before trick or treaters show up….. First time in a while I will be here to hand out candy…. In the coming days we will be handing candy to some big fish…..let’s go fishing! Mon. Oct. 29, 2012….What a day, I heard the forecast and thought "….this ought to be interesting.". It was indeed that. Met my client /friend Mac Cheek, Greensboro, NC , for a half day trip….and it was just as they said it would be. From the time we started til we quit early afternoon it was cold, windy with winds of 35-40mph, and snow the entire time. It snowed on us the whole time we fished. It wasn’t a bust, we landed 10-12 robust rainbows and had 2 20inch plus beasts at the end that gave us a shot…..one of them hit Tue fly and one would not take. It was a fitting end. Sure glad I had my SIMMS gear and I must say the Windstopper Hoodie /hooded guide jacket is just about the most amazing piece of fishing clothing I have ever owned. Thanks to Peter Vandergrift and the guys at the Guide desk at SIMMS for all the great gear. Amazing stuff…. I felt almost bulletproof in today’s wind. Will be doing some work tomorrow in prep for trips the rest of the week. 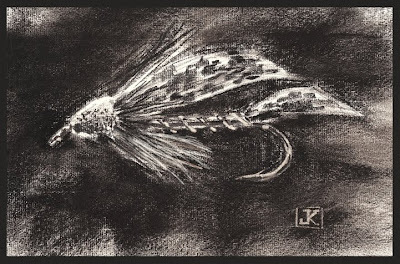 Have a great afternoon….and may be a good fly tying day or two coming up…..? Sat. 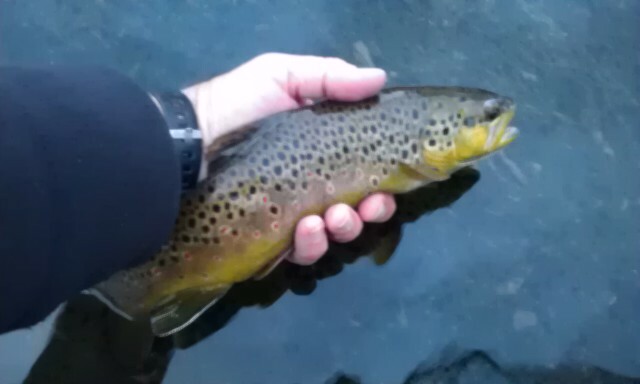 Oct.27, 2012….. Good 1/2 day, even though it was quite chilly and windy on the South Holston. The generation schedule was limiting today so we got a first light start. I guided a half day trip with Ned Jones and Ed McGee from Raleigh, NC, and we caught about 10-12 browns and some large ones too. Broke off two beasts on light tippet, one was huge. There were few rises and we caught our fish nymphing. The river was crowded and the TVA ran a half day schedule to allow floating for War veterans….pretty awesome. They should get all the best…! Headed back over the hill, will be taking tomorrow off as usual to rest and spend time with my family. It’s been a great week, some great trips. Great Day and Last Day of Warm Weather……. Sat. Oct. 27, 2012….Finally up and running again after my Android phone I use to do the on the water fishing reports survived a brief swim in the Little River. Can’t believe it, I guess its a testament to how well built the HTC smartphones are built…..that is very watertight. I am shocked it survived probably 6-8 seconds under water . Had a good day yesterday, probably the last warm day in a while. Looks like cool and lots of wind. Guided Terry and Brandon Shrum from Charleston, SC, yesterday and we had a good day. The guys were learning to fly fish, we did an on the water Flyfishing 101 lesson and then hit the water to put those skills to use. We fished two different waters, caught about 25-30 fish on both dries and nymphs. 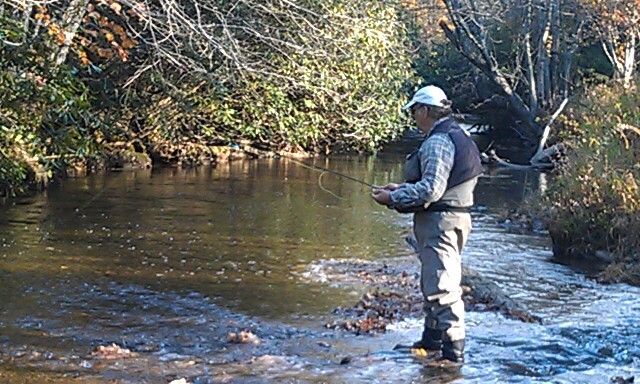 Lots of rising fish one place, few the other…but fish were feeding strong on both streams . Headed out today to brave the high winds associated with the East Coast storm/hurricane/snowicane Sandy. Looks like wet, 50sF, and windy 30-35mph. Guiding Ned Jones and Ed McGee from Raleigh Triangle Fly Fishers, we will only get in a half day with the change in release schedule. Wed. Oct. 24, 2012….Another phenomenal day, both the fishing and the weather. Guided Dan Camia and Larry Tomar and we put between 50 and 60 fish in the net. Not a lot of rising fish, we caught everything on nymphs. Dan was hot and had 3 citation rainbows on and landed two of them, one of them 19" and the other one 21.5". 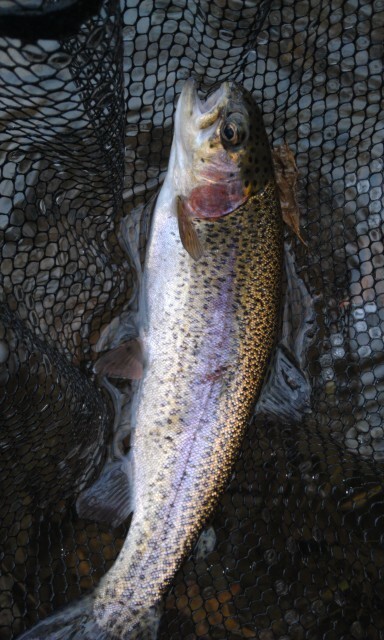 The third came unbuttoned just before the net….it was a 22-23" fish and had quite a girth. Unfortunately today I did not get many photos, and there were a ton of opportunities and especially with two of Dan’s huge rainbows. While leaning forward to net a fish my HTC Thunderbolt/Android took a swim…………oooops. We need some rain soon, stream levels are dropping quickly with the lack of rain the past two weeks. Falling water levels will mean lighter tippet, smaller flies and if it stays warm plenty of dry fly opportunities on most waters. Water temps areawide are in the 44-48F range in the am hours and rising to the 52-56F range in the afternoon hours…..hence the good fishing as late as you want to fish and in many cases rising fish all the wat to dark. 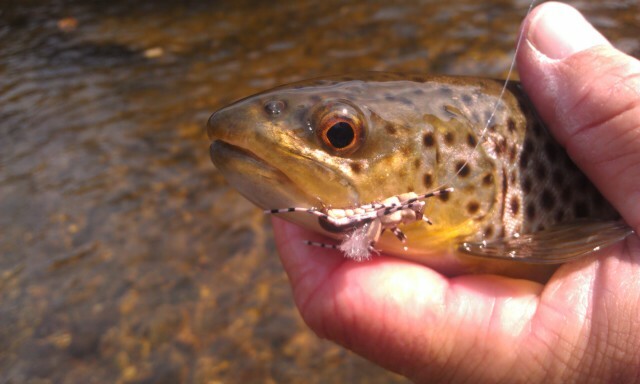 The past week we have had some truly great dry fly action. Had a nice dinner near McCann and heading down the hill. Will have more trips coming up this week, guiding Terry and Brandon Shrum of Charleston, SC, and Ned Jones of Raleigh, NC on the South Holston on Saturday. Hope your say was grand and more fishing reports in the next day or so. Wed. Oct. 24, 2012….It’s early, I am in Sparta, NC this morning just getting ready to take two clients Larry Tomar and Dan Camia fishing. What gorgeous and warm Indian summer weather we are having. Had a one hour stint of many fish on top yesterday while guiding John Keller of Stokesdale, NC. We had some great fishing with hoppers on some nice browns and rainbows, some fish up to 15"…we caught a bunch on hoppers and Fat Alberts, one of my favorite Jackson Hole, WY hopper patterns. Felt for a while like we were bank fishing the wilderness area of the Soda Fork of the Buffalo. Only difference we were at 3200 ft and not 8300ft, and these were rainbows and browns instead of Snake River finespotted cutthroats . 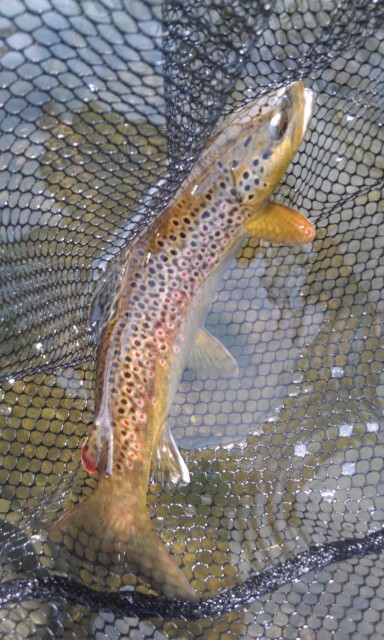 We ended up with a 40-50 fish day….nice ….and one citation 18" brookie on a size 20 dry fly…..nice work John! 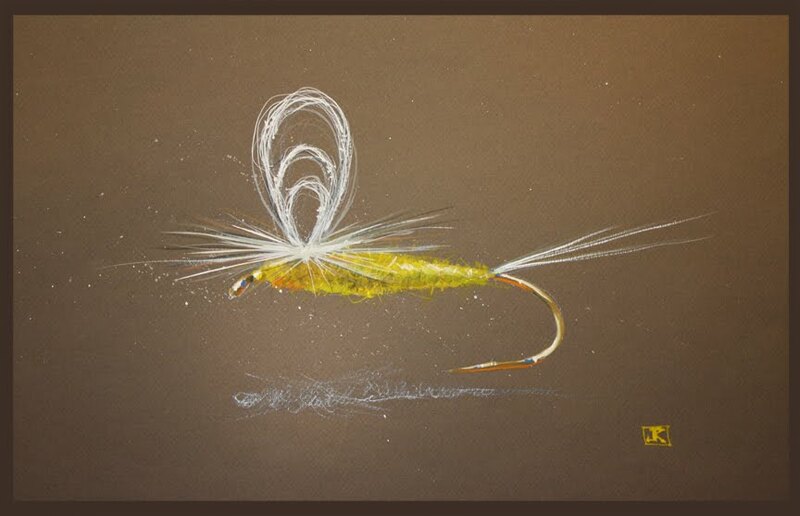 One thing I am seeing is low water and rising fish…..don’t forget the dry fly box. 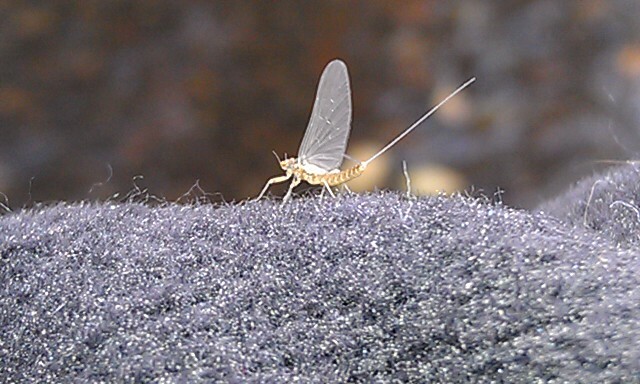 We are doing well on caddis dries, bwos size 20/22, light Cahills size 16, and small hoppers. 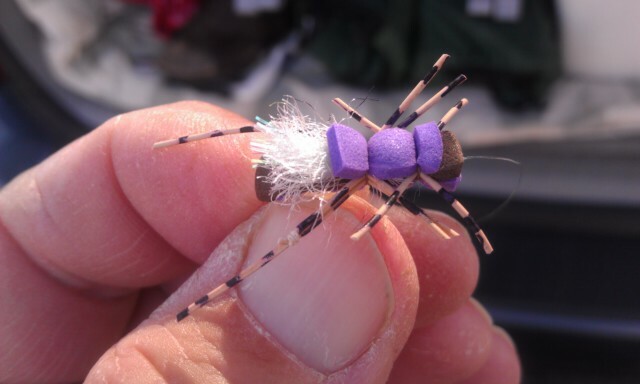 If you need patterns that work…..I can help and will gladly fill an fly request you have. Headed out and our boots will be wet in just a few minutes. Hope your day is grand….more to come from the river. Tues. Oct. 23, 2012…..Had a phenomenal day, guided John had a great day beginning with some unexpected dry fly fishing right from the start. The warm temps really have the fish working on top. We caught at least 30 fish today on dries including one 18″ brook trout to start the day. It was cold to start (32.5F) but quickly the temps rose to the 60s….just a phenomenal day all around. Water temp was 46F to start, then warmed to 54F in the afternoon……and rising fish everywhere. Tons of Cahills, Bwos and caddis hatching, plus we caught a good many fish on the banks with small hoppers and fat Alberts in size 12. We caught several nice fish on the hopper on a couple of grassy banks. We also caught some fish on a beadhead blueberry nymph (also called a Superman by some) and Baetis nymphs and zebra midges. Overall we caught between 40 and 50 fish by day’s end. John and I packed it in, then headed back. Great day, simply phenomenal weather. Doesn’t get any better, it feels like being out West! Have an early trip tomorrow guiding Larry Tomar and Dan Camia, Greensboro, NC, and we’ll be having another phenomenal weather day it appears. Hopefully the fishing will be likewise. Have a great evening! 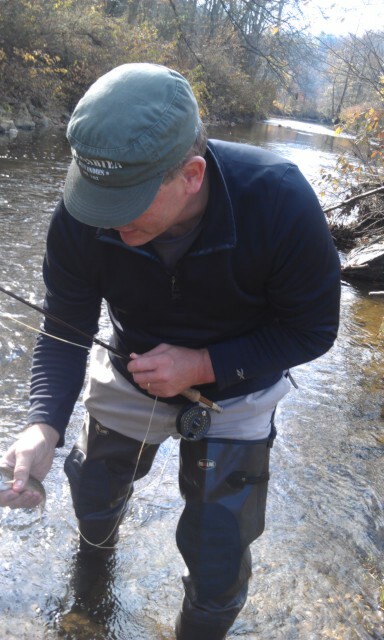 Tues..Oct. 23, 2012….. Had a phenomenal day, guided John Keller from Stokesdale, NC , and we had a great day beginning with some unexpected dry fly fishing. We caught at least 30 fish today on dries including one 18" brook trout. It was cold to start but quickly the temps rose to the 60s….just a phenomenal day all around. Tons of Cahills, Bwos and caddis hatching, plus we caught a good many fish on the banks with small hoppers and fat Alberta. Headed home, will be guiding Larry Tomar and Dan Camia tomorrow, should be another great day. Have a great evening….! Sat Oct. 20, 2012….After a chilly and windy morning with only a few rising fish, and extremely tough conditions , Dr Scott Bertrand, my client for the day and I decided we would take an early lunch break. In the morning we had landed 2 nice browns at the start and about 6-8 more on small #22-24 bwo dries…and there were a few hatching. We had lunch then Scott and I went upstream to catch falling water and a sulphur hatch and it was as I thought it would be . Lots of bugs hatching, Scott nailed another 20 fish or so, and with that we salvaged the day and ended with a 30 fish day after all. Have another busy week coming up, 5 guided trips so it will be an opportunity to get into some good fishing and some great reports. Chilly, Windy, Slow on the SoHo….. Sat. Oct. 20, 2012……Cold and breezy on the SoHo today, guiding Dr Scott Bertrand and its been tough. 25-30 mph wind, we caught two really nice browns early and then a half dozen or so on dry flies. Blue winged olives coming off, we are having lunch then heading back out.